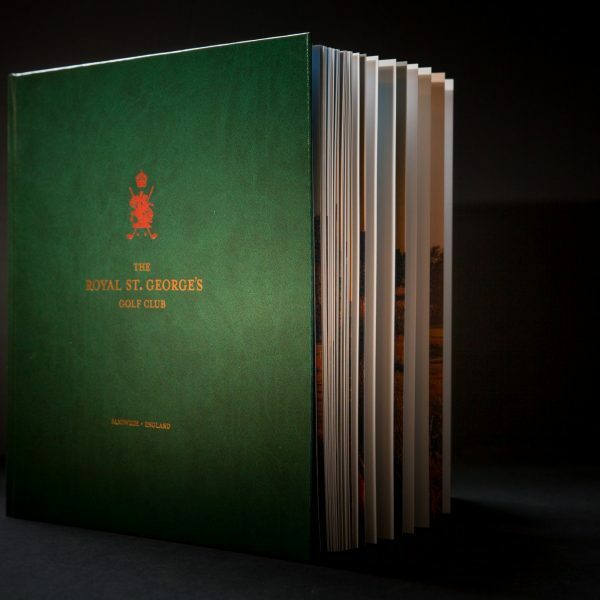 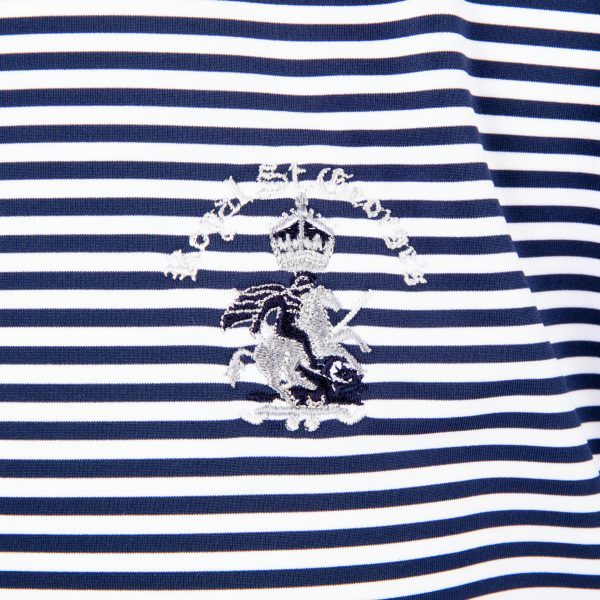 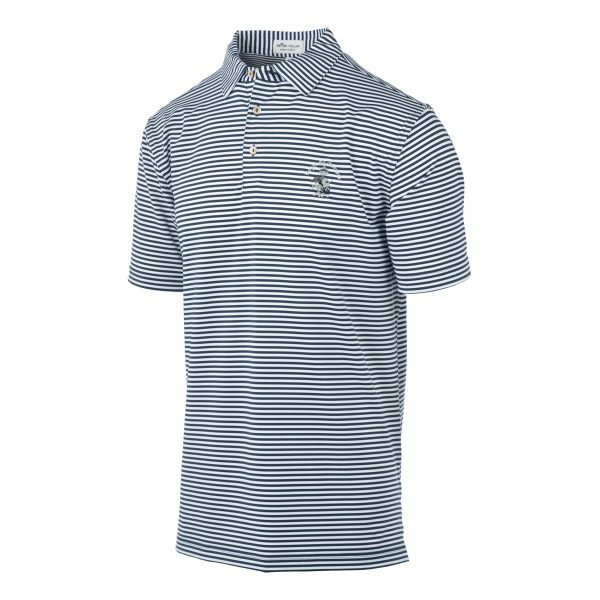 Marbas 149th Open Championship Royal St. George's stripe polo shirt in blue. 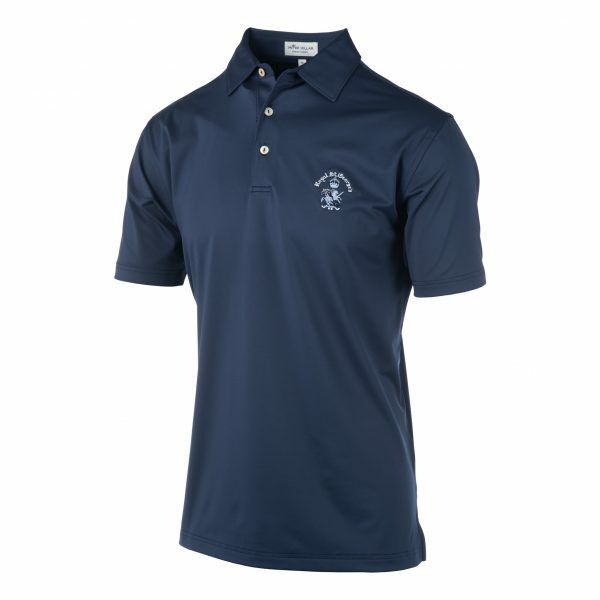 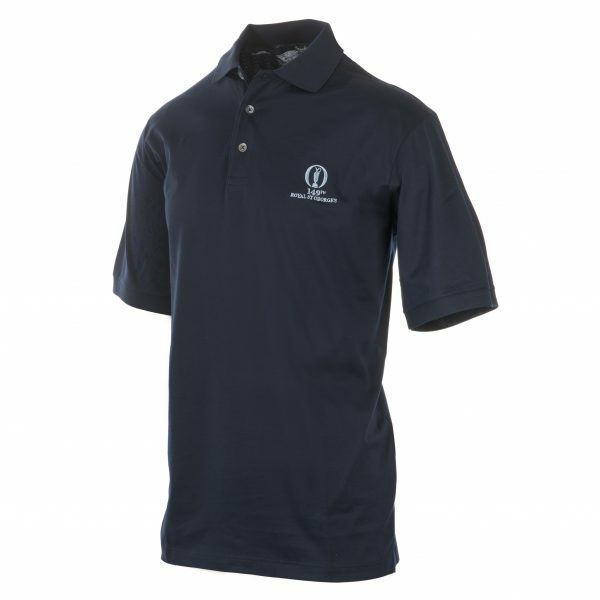 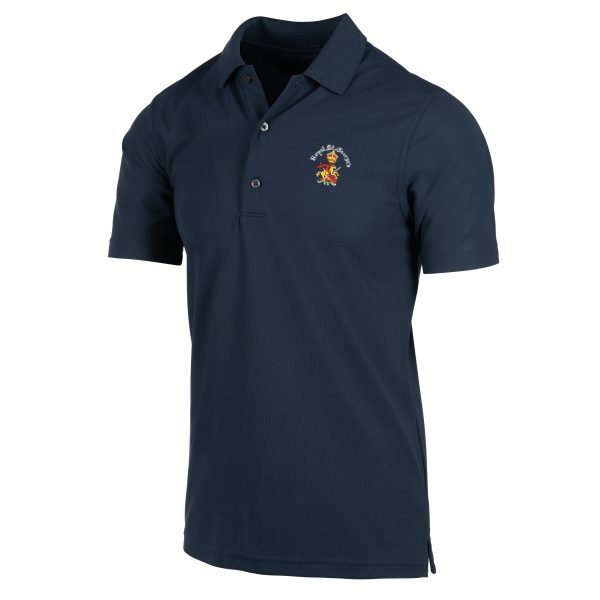 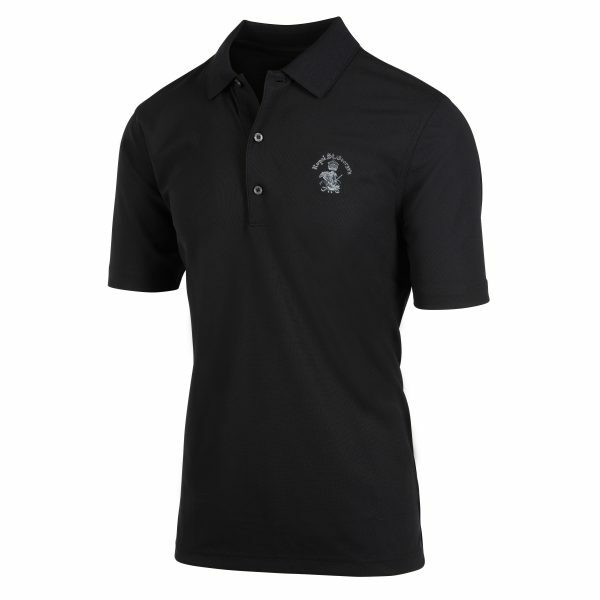 This shirt is a performance classic polo featuring 60% combed cotton / 40% Polyester Pique and is anti-bacterial/quick drying. 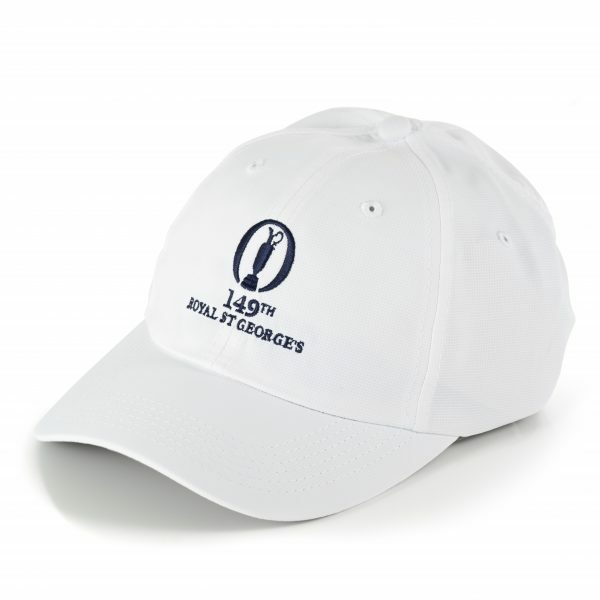 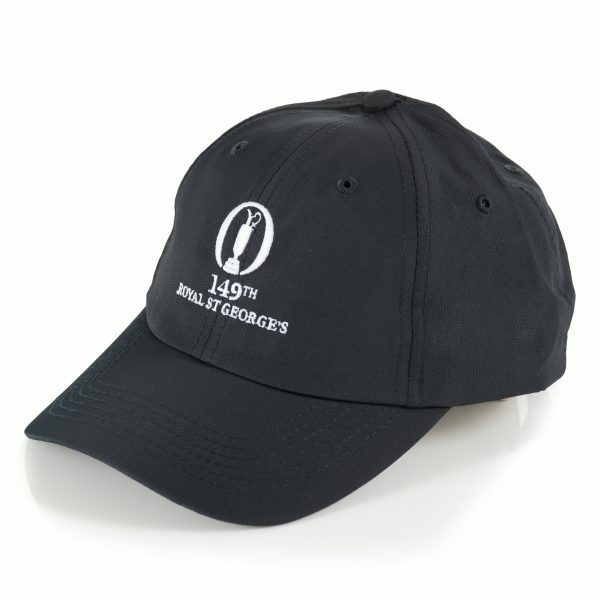 149th Open Championship Hat classic cut baseball cap in white. 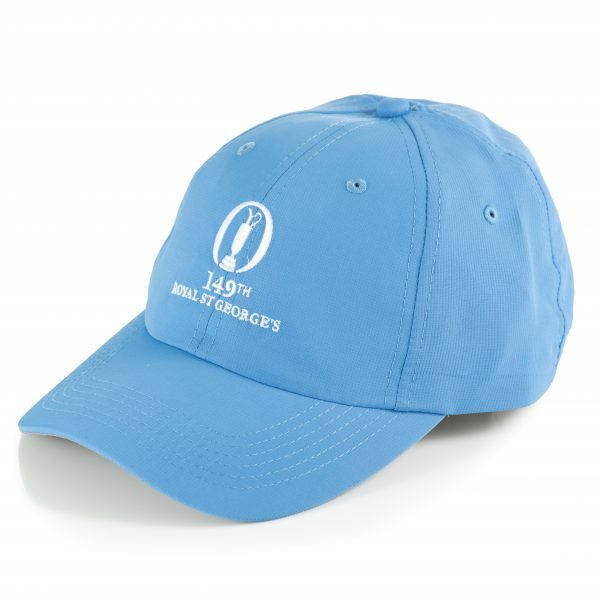 This cotton cap features white detailing and fully adjustable strap with a metal clasp buckle. 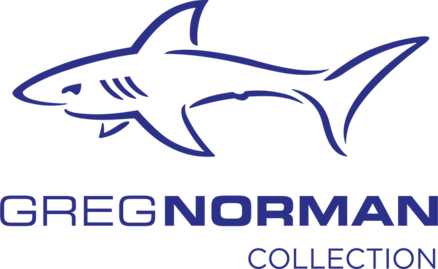 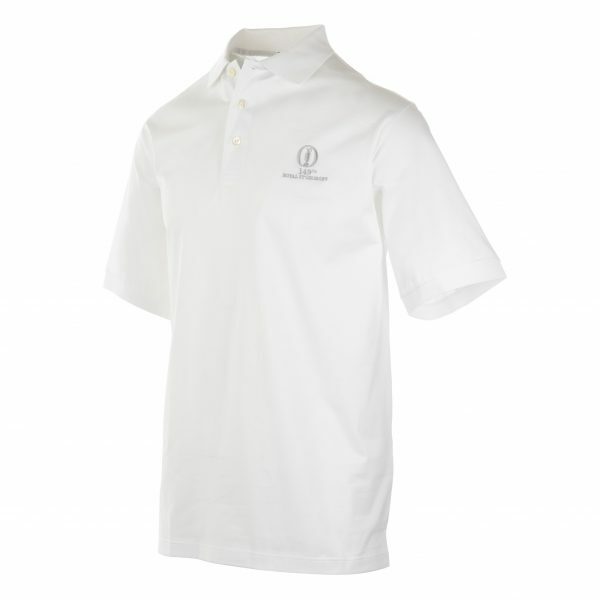 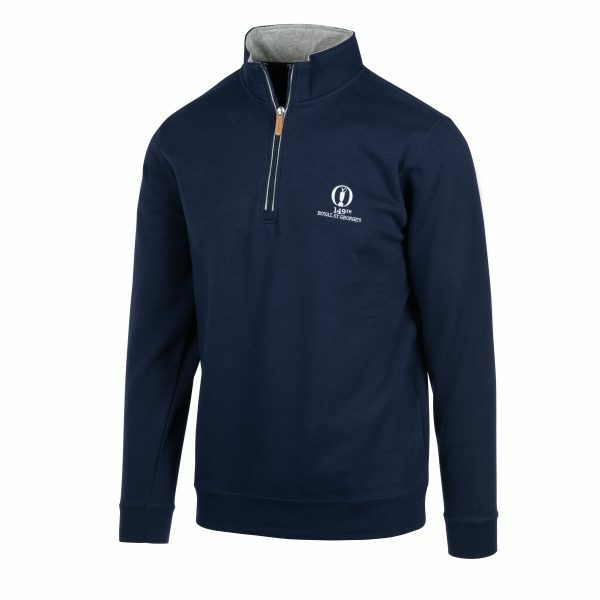 This Greg Norman Performance Polo is designed with superb moisture wicking technologies to help keep you cool, dry and comfortable during the hottest conditions. 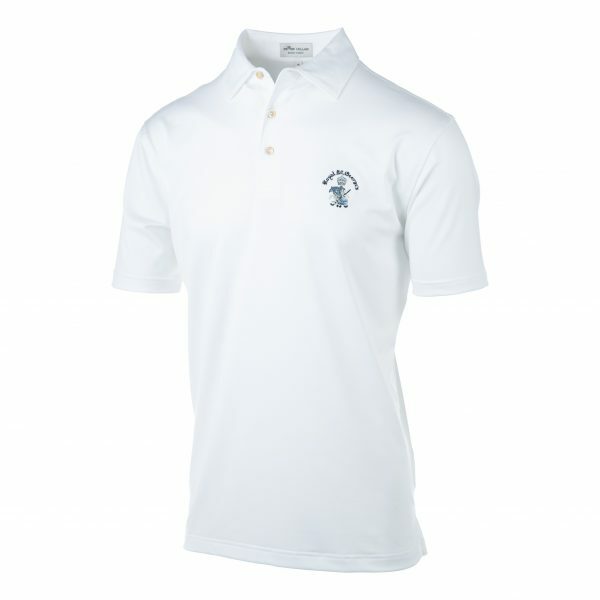 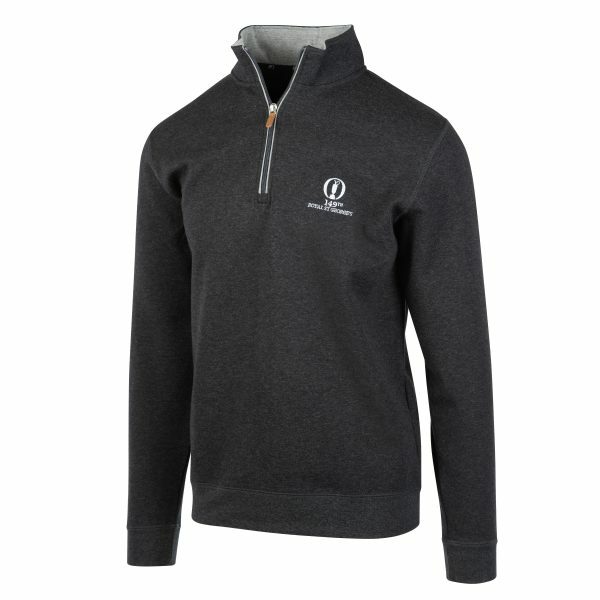 It features a knit collar in a comfort design.